Once upon a time… | Welcome to allaboutwordswa! Once upon a time there was a family of eagles. Mother Eagle was always very busy keeping the nest tidy and feeding her four hungry babies. Even though she had four baby eagles she really wanted one more. A little while later Mother Eagle laid another egg. She was determined to keep it safe and secure. She didn’t have anyone else to help her as father eagle was out and about, but she was a strong bird. Things went along really well until the day the baby eaglet hatched. The new eaglet was very weak and needed lots of care. The eagle family across the road helped out with taking the baby eaglet to where she could get the care she needed. Mother bird was very sad that she couldn’t feed her baby herself but she got on with it – she kept herself busy with four other mouths to feed. Meanwhile baby eaglet was slowly getting stronger. She was very frightened though – there were the blinding, bright lights of the incubator and lots of strange birds handling her and not letting her rest. This seemed to be such an awful world after that wonderful time in the shell when she felt so warm and so safe. When she was strong enough to come back to the nest with her family she found they were SO busy all the time. No one had time to teach her how to do all the things that she needed to learn. She was very shy and frightened of just about everything. Her siblings teased her and called her names! She didn’t know how she was supposed to be because no-one took the time to show her. They had more fun laughing at her clumsy attempts and teasing her about things she didn’t understand. This made baby eaglet really sad and feeling very bad. Baby eagle soon got angry with the world. She didn’t really know why she was angry though. She just knew that she was different from all the others in the eagle family in just about every way. Maybe she didn’t even belong there. Perhaps she had come from a different nest – she certainly didn’t want to stay where she was and dreamed each day of having the strength to up and fly away and to look after herself. She didn’t want anyone laughing at her attempts to do things – she didn’t need others around her – she could manage on her own! Or so she thought! In time baby eagle met many other strays that she felt she understood. They had been laughed at and humiliated too and she knew how that felt. She wanted to make them feel better because she knew how painful it was to feel lost and alone. Unfortunately though, she couldn’t really help others who were hurting – well she could help for a little while and she did understand how they felt – but she couldn’t fix them and her pain didn’t go away either. One of the best things that happened was when she had three baby eagles of her own. She really loved and cared for them and tried to teach them the things she thought they needed to know. She wished she could provide better care for her babies but it was hard for her to teach others what she didn’t know and she was still alone without much love and support in her own life. It was really hard for her. At times she nearly gave up. She wanted to give up; many times. But she couldn’t – she couldn’t hurt her little ones and leave them with no one to care for them – so she kept going as best as she could. Sometimes that was not terribly well! The trouble was that she never felt quite right. Maybe this was because no-one ever told her that she was a perfect little eagle, doing all the normal things that eagles do! Because she didn’t feel ‘quite right’ about herself everything that happened was coloured by this. Sometimes normal little problems seemed much too big because she always worried inside herself. She felt angry sometimes as she didn’t want others to see this hurting, worried part of herself. She didn’t understand what the feelings were and she was sure that others wouldn’t either! Even though she struggled for many years she didn’t realise that she was growing into a big, strong magnificent eagle – one that others admired and saw lots of strength and wisdom in. However she still seemed to believe that she didn’t know ‘the rules’ of this world and how to navigate her way around it. She always looked to others for approval and advice. She learnt that the worry and fear she felt was partly caused by what she thought about. She learnt there was no definite right or wrong in most situations. She came to see some of her strengths and really wanted to use them. It took her a little while to get out of her habits of thinking and sometimes she still blindly followed others (because that was what she was used to doing). She was sad when she let go of her own power and handed it to others. When she felt really strong she was able to ‘give away’ her power to help others. One day she understood that she didn’t need to feel angry with others because they were trying to find their own way in the world, just like she was. She still remembered that when she was a baby eaglet her family acted as though she wasn’t there. That didn’t really seem fair to her – and it probably wasn’t – but she needed to stop blaming others for getting on with their own lives. It was quite ok for them to do this because she was not their ‘baby’ and in fact she was no longer a baby at all. Others saw her as a strong and powerful eagle and didn’t even think that she might be lost or insecure. How could they know? At other times she felt strong but if she tried to be one of flock it just didn’t seem to work properly. She would feel very angry and powerless at these times. She really wanted to fly away as far as she could. It wasn’t fair. She didn’t know what to do! She felt powerless and the others were laughing at her. If she tried to stand her ground she sometimes got so angry (with that old worry inside her) that she did things she regretted. She was very worried and upset but tried to hide it from everyone because she felt they would discover that she still wasn’t ‘quite right’. Sometimes she felt so bad that she wanted to hurt herself. She was so angry that she didn’t know what to do. Other eagles seemed to know how to fly through these situations – why didn’t she? She must be really bad or mad and was tired of trying to work it out. She just wanted the pain to go away – she wanted to feel numb – feel nothing…but that was not a good place for her to be in. Time passed and one day she found some new friends who felt a lot like she did. She felt loved at last! They helped each other a lot and she learnt a new philosophy from them. These new friends helped her find peace of mind and contentment. She needed to keep reminding herself though, to take one day at a time, because it was so easy for her to get anxious and afraid again and she didn’t want that to happen! And so the story goes. 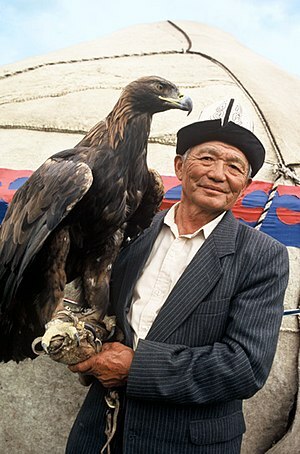 She found love and companionship and enjoyed her growing family of eagles. Perhaps they will all live happily ever after. Wow. It seems like a lot of effort went into this post Lorraine. Bless you. Thanks Russel for taking the time to visit and to leave your thoughts behind. You are welcome back at any time!